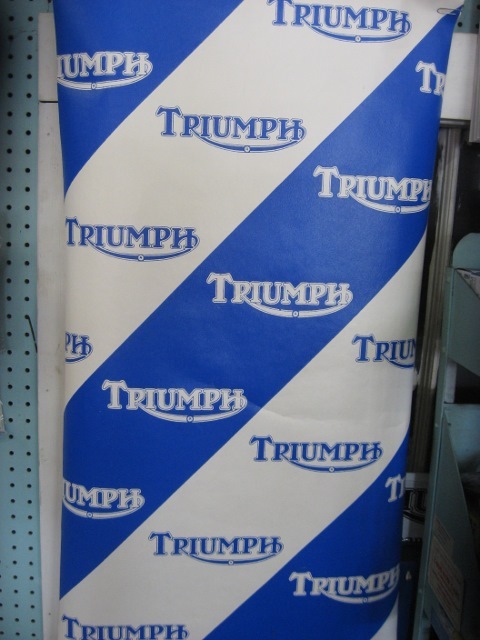 Triumph Wallpaper?! Yep! 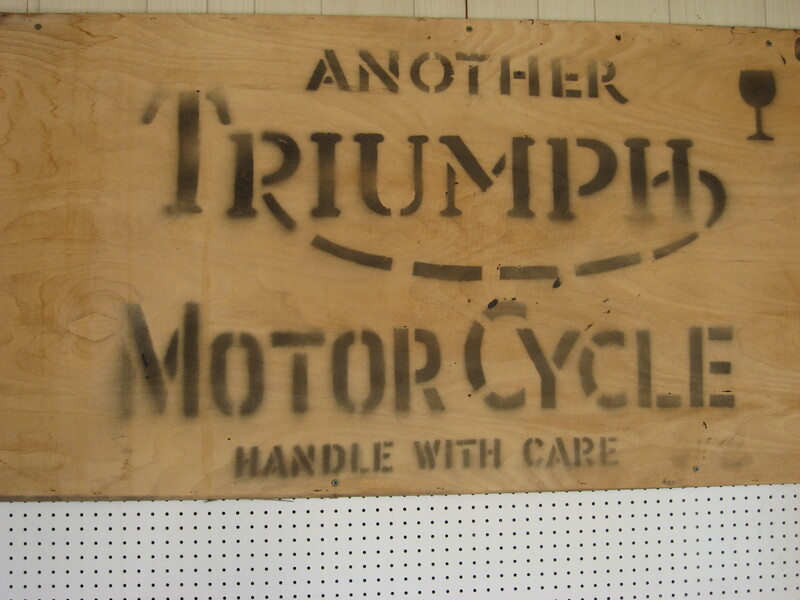 This stuff showed up shortly after Triumph Motorcycles of America closed. How it got here, I don’t know-TMA was in California. It would make a great addition to your garage, “man cave”, or den (you live alone, don’t you?) $35.00 per roll.